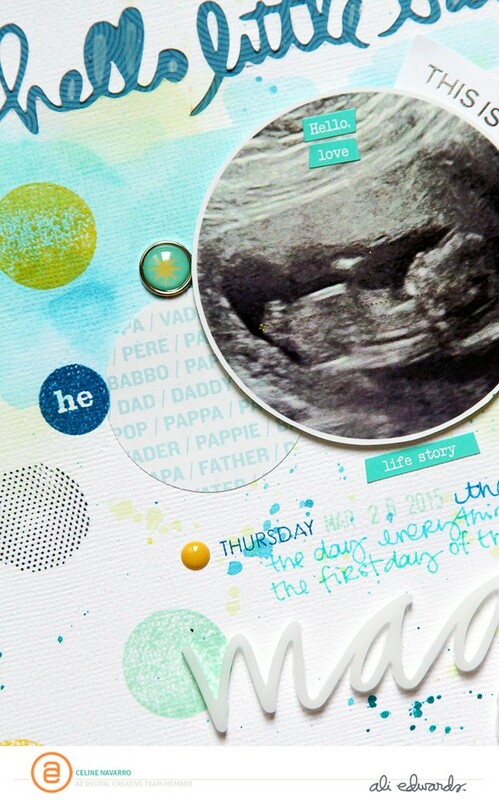 Can you believe this is my first BABY layout? I mean, with a photo of MY baby?! ah! :) I made this layout for Ali Edwards Digital CT. I used a brush and turned it into a cut file for my Silhouette. 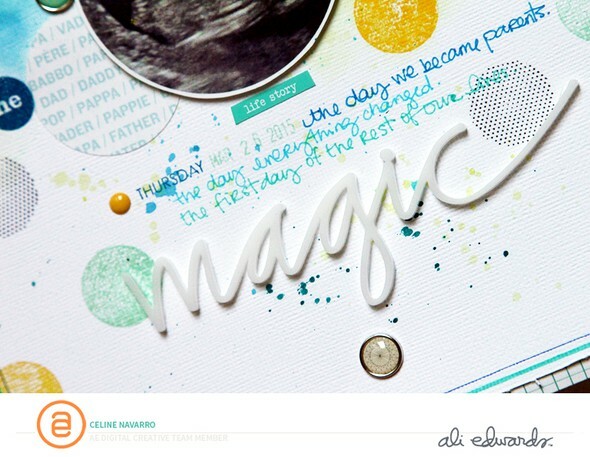 Then played with NeoColorII, AE stamps & Story Kits, and OA embellishments.